The US dollar is higher against major pairs on Friday after a strong US jobs report was published. The U.S. non farm payrolls (NFP) report showed the economy added 223,000 jobs last month driving the unemployment rate to a 18-year low of 3.8 percent. Wage growth surprised to the upside with a 0.3 percent gain that validates the comments from U.S. Federal Reserve members about the need for more rate hikes this year. The market has already priced in a lift in June, that could be joined by higher interest rate decision on the September and December FOMC meetings. The EUR/USD gained 0.13 percent in the last five days. The single currency is trading at 1.1664 despite Friday’s release of the U.S. non farm payrolls (NFP). The EUR was near the 1.15 price levels as the political situation in Italy grabbed headlines. The coalition of the 5-Star movement and the League was almost over as soon as it began and new elections were in the horizon. The reshuffle of some cabinet positions was enough to get the new government approved and the single currency appreciated soon after the news broke. With Italy out of the way the market is now focusing on Spanish politics as Prime Minister Mariano Rajoy was ousted after failing a vote of confidence. The new PM Pedro Sanchez is focusing the priorities of his minority government in reversing social program cuts and improving the relationship with Catalunya. The back and forth on trade after the US announced the EU, Canada and Mexico would lose their aluminum and steel trade exceptions will dictate the pace in a week with little economic data to digest. 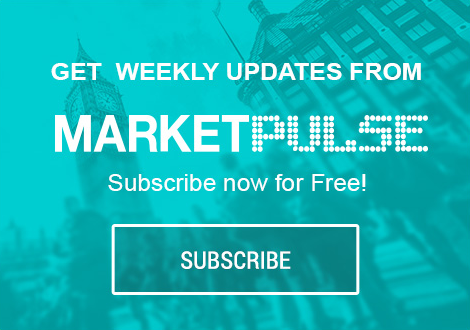 The week will be a quiet one for US releases with most of the action in Europe focused on the United Kingdom and Europe’s PMIs and German indicators. The response to US tariffs has been swift and retaliation has been announced from the EU, but the biggest development will be how this story evolves ahead of the G7 meeting in Canada. The USD/CAD lost 0.02 percent during the week. The currency pair is trading at 1.2967 after a volatile five days. The Bank of Canada (BoC) held the benchmark interest rate at 1.25 percent but was hawkish of a rate lift in July. The loonie was higher midweek only to suddenly depreciate after the announcement that the US was removing the exemption on steel and aluminium tariffs to Canada. NAFTA uncertainty has put downward pressure on the loonie since the Trump administration embarked in tough negotiation tactics. The biggest release for the Canadian dollar will be the publication of the jobs report on Friday, June 8 at 8:30 am EDT. The forecast calls for a gain of 17,000 jobs in May. A strong employment report would validate the prediction from economists of a 25 basis points hike in July. The U.S. Federal Reserve is expected to lift its benchmark Fed funds rate in June, so a move by the Canadian central bank would also serve to close the gap between the two rates. The USD/MXN appreciated since the start of the week as first risk aversion made the USD a safe haven for investors that sold their emerging market positions as the Italian political drama unfolded. As that situation started to cool down the Trump administration announced that due to the slow progress of the NAFTA negotiations it would remove the exemption to steel and aluminum tariffs to Canada and Mexico. The currency pair started the week at 19.5013 and is trading on Friday at 19.9148 and inching closer to the 1.20 price level. The Mexican peso is under pressure as Presidential elections are around the corner. The NAFTA negotiators were motivated to reach a deal ahead of the elections in Mexico as a new government could alter the position of the Mexican government. The party that is ahead in the polls is a leftist party, but so far its candidate Andres Manuel Lopez Obrador has managed to keep his policies aimed towards the center to avoid surrendering the lead ahead of the July 1 elections.